The Lincoln County Sheriff's Office released this sketch Monday afternoon of the suspect in a Nobleboro home invasion Monday morning. The Lincoln County Sheriff’s Office is searching for a suspect in an apparent home invasion on Center Street in Nobleboro just after 8 a.m. Monday. Deputies went to the home where the elderly male homeowner reported that a white male, approximately 20 years old, 6-feet-tall, with blond, wavy hair and a thin build, had entered the home and attempted to steal valuables from the homeowner, Lt. Michael Murphy wrote in a release Monday afternoon. The man allegedly displayed an unspecified hand tool as a weapon, but fled the house without taking anything after he was confronted by the homeowner. A police dog tracked the suspect to where deputies believe he got into a SUV-type vehicle similar to a green, early 2000s four-door Ford Explorer and fled the area. 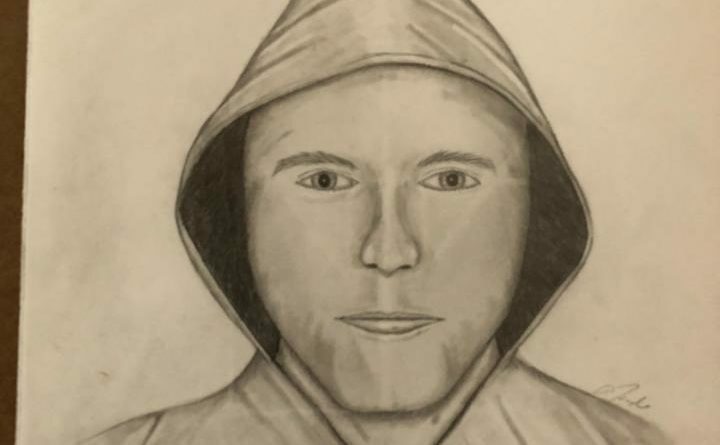 The suspect was wearing a dark-colored hooded sweatshirt, light-colored pants and tan work boots, and was carrying a black backpack with brown trim. Anyone who may have security footage of the area or have information about the incident is asked to contact Det. Terry Michaud at 882-7332 or by email at tmichaud@lincolnso.me. Anonymous tips can be left using the LTip app at https://www.tipsubmit.com/webtips.aspx?AgencyID=1238 or by texting “LTip” to 274637.